Curd is a dairy product obtained by coagulating milk in a process called curdling. The coagulation can be caused by adding rennet or any edible acidic substance such as lemon juice or vinegar, and then allowing it to sit. It can be made from cow, water buffalo, sheep/ewe, yak, reindeer, llama, camel, and goat’s milk. A type of curd in Spain is made from ewe’s milk. Introducing lemon juice or vinegar substance to the milk, will allow the milk to curdle and separate into two parts. The wonders of curd are not just restricted to soothing your system and help digest food. It also works as a marvelous beauty recipe and is used by many women to treat various skin and hair problems at home. It serves as a very good medicine. It has an enzyme that keeps the body cool. 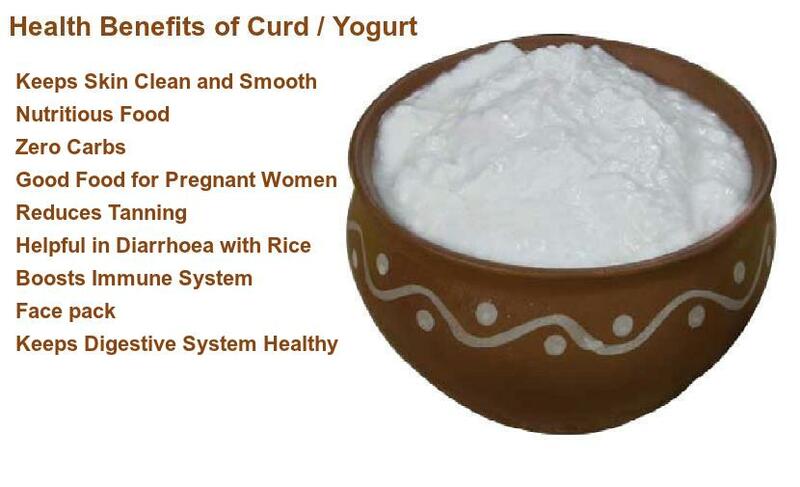 Curd is very helpful for preventing and delaying degeneration of the body. It purifies the blood, keeps the digestive system healthy, and has more vitamin B Complex than milk. The nutrients present in curd are easily absorbed by your digestive system. Not only that, it also helps in absorbing nutrients from other food items that you have eaten. Helps boost immunity Curd has good bacteria present in it which strengthens your immune system by fighting against several microorganisms that are present in the body.